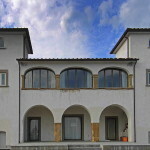 Tuscany castle hotel for sale with Chianti vineyard, olive grove and land. 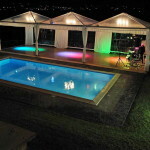 Excellent Chianti location, close to Florence and Siena, ideal wedding venue, functions, events etc. 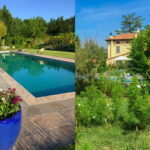 Arranged around an internal courtyard, ideal location for events, this stunning castle is disposed on four floors, plus a panoramic tower boasting a breathtaking view over the Chianti hills. On the ground floor there are cozy sitting rooms and living areas, professional kitchens, rest rooms and storages. On the mezzanine, first and second floors there are sitting rooms and bedrooms. Nineteen charming bedrooms with en suite bathroom are currently used as guest accommodation (inside the castle there is a total of 25 bedrooms and 33 bathrooms). Dating back to the 10th Century, this ancient fortress has been finely restored and it features traditional Tuscan style elements, like terracotta tiled floors, wooden ceilings and stone fireplaces. 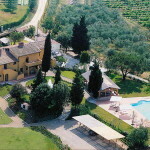 Nestled in the Tuscan countryside, the castle is surrounded by vineyards and olive groves. 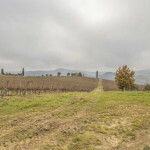 The plot of land extends over 90 hectares (222,39 acres), of which 12 ha of vineyard (10 ha of Chianti D.O.C.G. and 2 ha of IGT), 30 ha of olive grove and 30 ha of arable land. Cultivar: Sangiovese, Malvasia, Trebbiano, Lanaiolo, Colorino. Current annual production: 75.000 bottles, up to 120-150.000 bottles. There is the possibility to increase the vineyard, converting 10-15 hectares of arable land. Increasing the number of vineyard hectares, it would be possible to reach an annual production of 250,000/300,000 bottles.